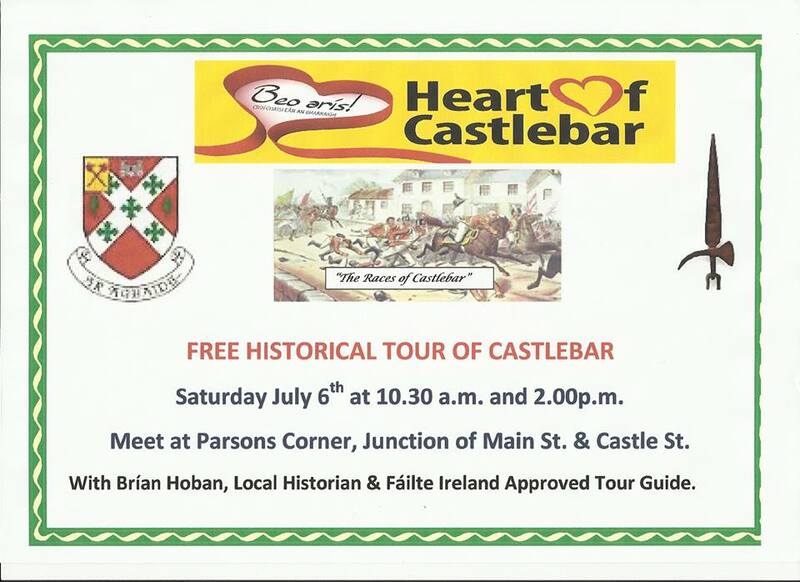 Series of Guided Historic tours of Castlebar will commence on Saturday July 6th with free tours in association with "Heart of Castlebar Street Festival." Tours will be held each Saturday thereafter with Guided Castlebar Town Tour on Saturday mornings at 10a.m and Guided Tour of Lough Lannagh Saturday afternoons at 2p.m. I’ve Got It All, Almost! Sulphur – A whiff of Hell? Heritage in schools - What do my surroundings mean to me? How hard can it be to post a letter? The Land Question still haunts modern Ireland. Why Didn’t the Iraqis Welcome their Liberators?